Chartered in 1955, Methodist Hospital is the pioneer facility of the new world-renowned South Texas Medical Center. Opened in 1963, Methodist Hospital has grown to be the flagship facility of the Methodist Healthcare System, San Antonio's largest and most preferred health care provider. Methodist Hospital maintains this excellent reputation with a commitment to the hospital's needs by exceeding their expectations. With 672 beds, Methodist Hospital offers a broad range of specialties including cardiology, oncology, emergency medicine, neurosciences, maternity care, gynecology and orthopedics. 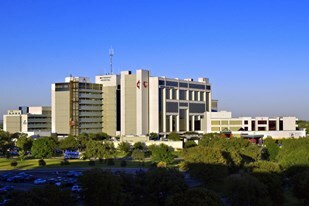 Methodist Hospital is San Antonio's largest private hospital, as well as the largest provider of health care to rural communities in South Texas and international patients from Mexico. In the late 1998, Methodist Hospital opened the Gamma Knife Center, the only one of its kind in San Antonio and South Texas. The Gamma Knife offers new radiosurgical technology designed exclusively for the non-invasive treatments of malignant and benign brain tumors, vascular malformations, and other neurological disorders. Methodist Hospital offers many advanced imaging technologies that provide clear, detailed x-rays so physicians can diagnose and treat their patients' diseases. These tools include magnetic resonance imaging (MRI), 3T magnetic resonance imaging, computerized tomography (CT), positron emission tomography (PET), cerebral angiography and picture arching and communications systems (PACS). PACS captures images through the computer instead of an x-ray film. As a result, physicians with the PACS software installed on their computers can view x-rays in their office, from several locations within the hospital and even from home, providing faster and more convenient access to their patients' x-rays. Approximately 2,000 physicians representing virtually all medical specialties comprise the Methodist's medical staff. It also maintains one of the highest nurse-to-patient ratios in the Southwest.